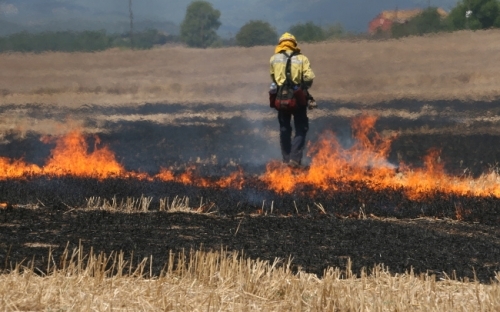 This project aims at the development of a support tool for fire management decision makers, focusing mainly on the efficient management of ground resources involved in extinguishing wildfire. A GIS platform will be implemented to provide real time information about the location of fire fighters, ground resources and air resources. A multicriteria optimization algorithm will be also implemented to minimize the non-efficient movements of material, and people and to optimize resources. 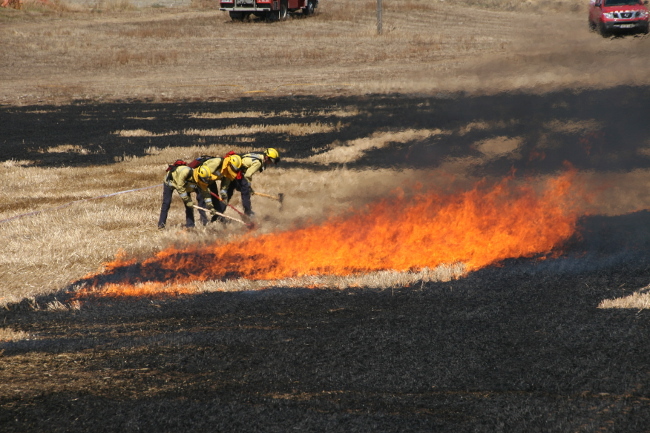 This platform will allow the visualization of the front fire line evolution together with fire attributes provided by the image processing algorithms. The project will integrate different geospatial information, road and track network, a 3D terrain model, and will gather information on wood from different sources in order to supply the simulator and the optimizer with the data they may need. 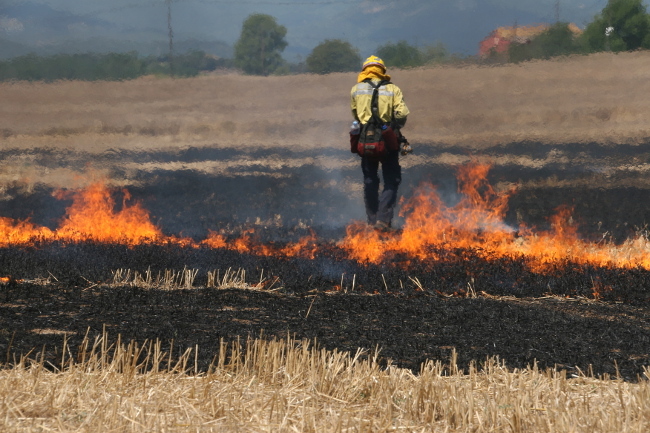 The project will adapt the current tooPath Tracking System to fire-management requirements. These adaptations include: the development of location communication drivers for UAVs, the development of different APIs in order to access information from GIS System, data verification from GPS units, ground resource georeference and generation of graphs of affected roads and paths. The core research of project (1) will address the integration of UAV’s inside the civil aerial space, focusing the research on the conflict resolution algorithm at strategic, tactical and operational time horizons. Project (2) will mainly concentrate on computer vision techniques devoted to fire detection from aerial imaging and its proper characterization in a geo-referenced coordinate system. Additionally, the geolocation of cameras from acquired images will also be studied. 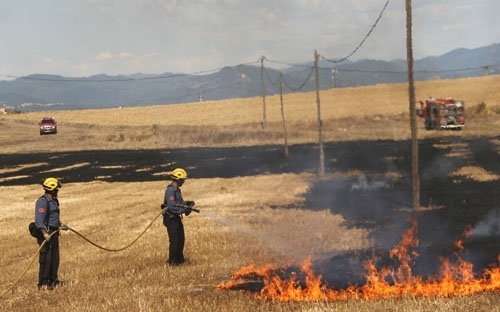 The focus of project (3) will be on the development of an integrated simulation and optimization framework for optimal wildfire containment which will be used as a decision support system (DSS) for an efficient coordination of land side resources. 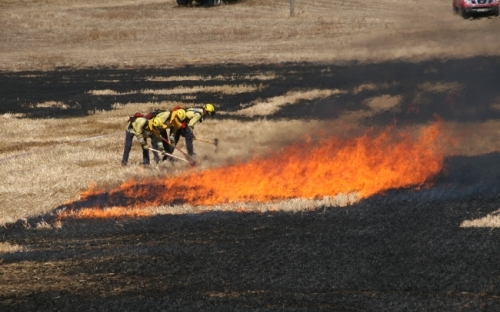 To contribute to the improvement of the safety conditions of fire fighters working in forest fires. To guarantee safety procedures and to improve the logistics of the movement of people and material resources, resulting in lower costs. To enhance the EPO experience and to strengthen the knowledge about cooperative UAVs at research teams, considering a future civilian use of UAVs.